Figure 1. Water stress map of a citrus field in Mildura, Victoria, Australia. This project is funded by Hort-Eye Pty Ltd. In order to materialize the concept of precision agriculture, remotely sensed data is being used in conjunction with field sensor data. Remote sensing data provide very high and flexible spatial and temporal resolution along with non-destructive and low cost data collection. The remote sensing data has been proved to be in the close approximation of crop growth deciding parameters. Canopy moisture and nitrogen content are the most dominant parameters limiting the yield of the crops. Canopy nitrogen and moisture prediction with high accuracy and spatial resolution will play a key role in the efficient use of resources to the farm. Creating canopy level moisture and nitrogen content map at high spatial and temporal resolution will greatly assist in site-specific irrigation and fertilizer application. This will lead to economic and ecological benefits in agriculture in terms of fertilizer cost reduction, high water use efficiency and less nitrate leaching in the groundwater system. 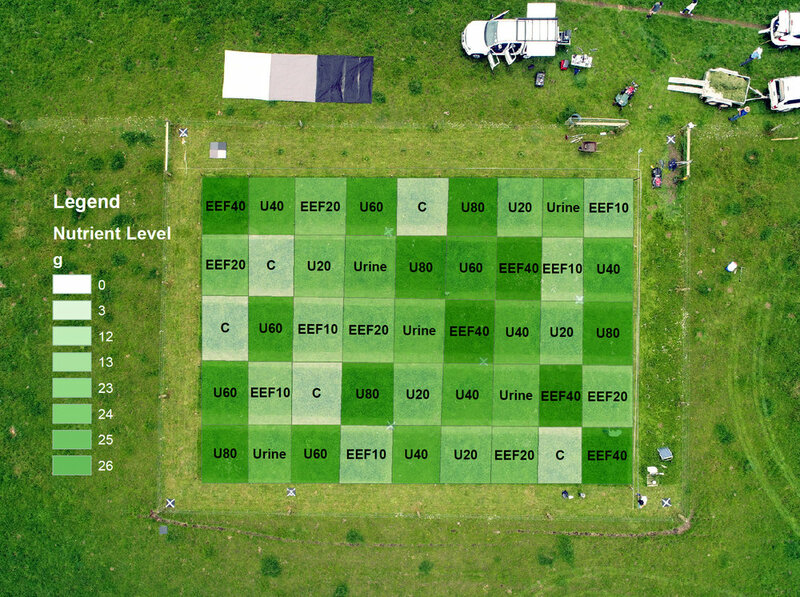 Hyperspectral sensing of pasture and soil nitrogen at an experimental site in Warrnambool, Victoria, Australia. The site is managed by Dr. Helen C. Suter of Agricultural Sciences at The University of Melbourne and Graeme Ward.